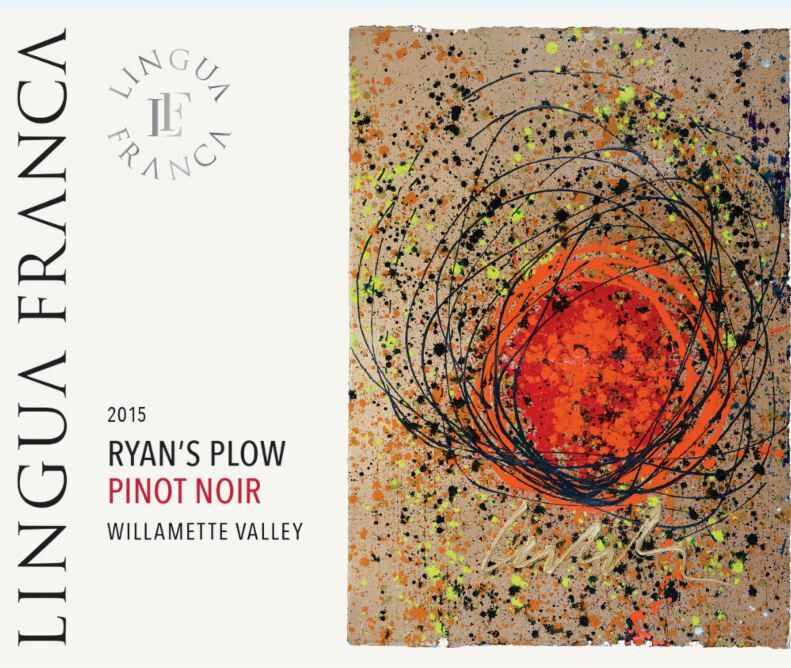 There are plenty of good values still to discover in Oregon Pinot Noir. Because of inflation and trends in pricing, I now award the value image to Pinot Noirs scoring 89 or above that are priced at $40 or less. 100% estate bottled wines. 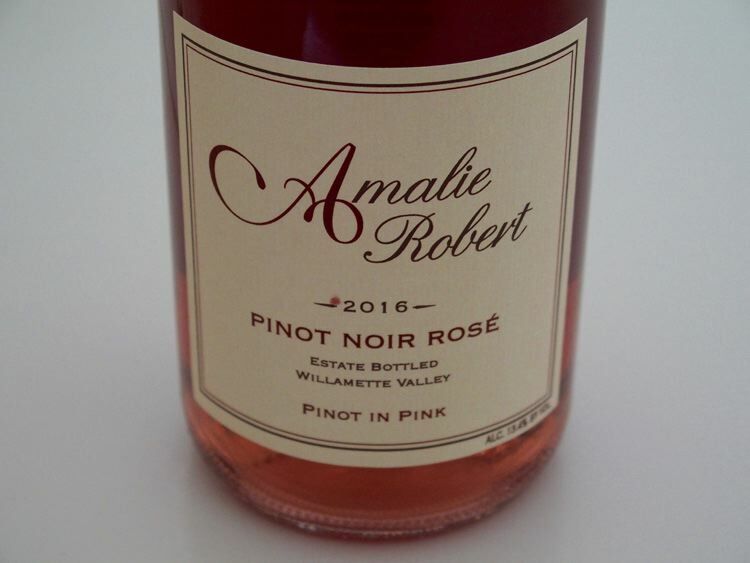 Amalie Robert grows, ferments, blends and bottles all their wines from their estate vineyard. A family affair involving proprietor and vineyard manager Chris Shown, proprietor Sheree Shown and winemaker Matt Shown. Chris’ involvement in the wine industry began in 1970, assisting his father in establishing their Rutherford vineyard in California’s Napa Valley. Matt has been working in the vineyards since he was eight years old. Because of his upbringing, his winemaking philosophy is rooted in the vineyards. He earned a degree in Horticulture at Oregon State University and began working in wineries in 2005. He helped launch Brigadoon Wine Company in 2008, and also consults for a variety of small labels. Another family member, Nick Shown, is the cellarmaster at Left Coast Cellars in Oregon but helps out at Brigadoon at bottling and special projects and events. 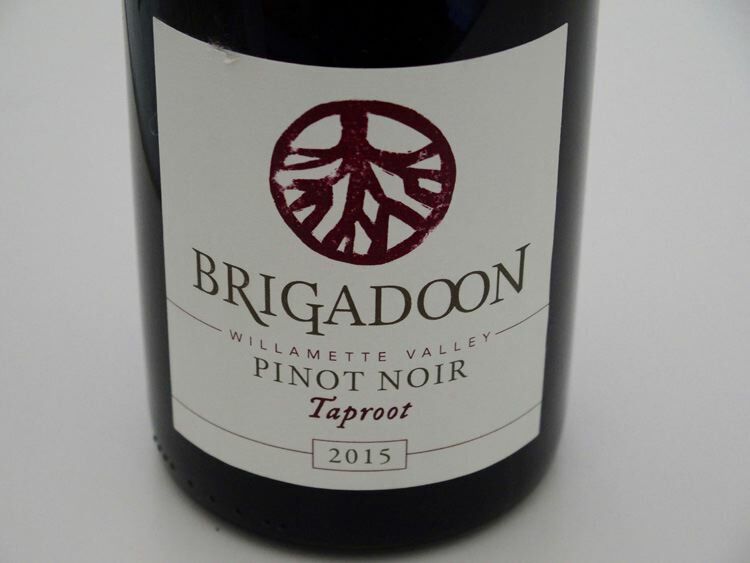 Brigadoon Vineyards is located in the southern Willamette Valley, just northwest of Eugene. The 66-acre farm has 6 acres of six different clones of Pinot Noir, 4 acres of Pinot Blanc and a half of acre of Riesling. The vineyard sits at 400 to 600 feet elevation and is planted in Bellpine soils. Brigadoon produces certified rootstock and scion wood material for the grapevine nursery industry. The winery’s tasting room and picnic grounds are located in Junction City, Oregon with views of a secluded canyon, vineyard and forest. Tasting is available April through November Wednesday through Sunday or by appointment. Visit www.brigadoonwineco.com. The following wines will be release in the summer of 2017. A family owned and operated vineyard in the north end of the Chehalem Mountains AVA, just west of Beaverton and Portland, Oregon. Three generations of the family have been stewards of the land that is Dion Vineyard. Today, husband and wife Kevin Johnson and Beth Klingner produce 800 to 1,000 cases of Pinot Noir, Chardonnay and Pinot Gris annually, available for tasting at the winery Friday-Sunday April through November. Premium wine grapes are also sold to other wineries throughout Oregon. Visit www.dionvineyards.com. The current Director of Vineyards and Winemaker for Flâneur Wines is Grant Coulter, who worked for years at Beaux Frères, and who joined Flâneur at the end of 2015. The 2016 vintage is Coulter’s first vine to bottle vintage. The wine reviewed here was crafted by Kely Kidneigh. 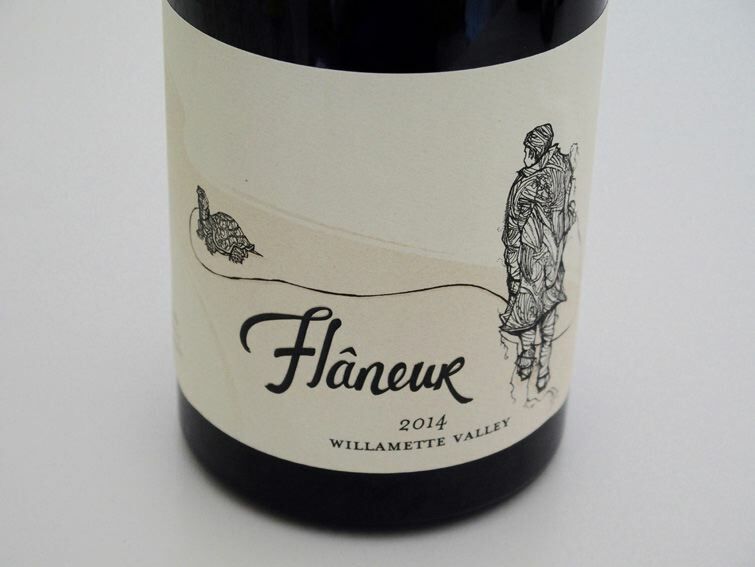 A tasting room opened in 2016 at the estate Flanerie Vineyard, located in Newberg in the Chehalem Mountains AVA. Owners and winemakers Johanna and Don Sandberg relocated from Minneapolis to Portland, Oregon in 1999 to investigate growing grapes and making wine in the Willamette Valley. A family partner owner, Lynne Pelos contributed financial and marketing support so that by the end of 2000, they had moved to the future vineyard site to oversee land development and learn the business of growing grapes. The vineyard was first planted in 2002. The 57-acre parcel of land had never been planted to grapes. Located in the northern Eola Hills of Yamhill County, the land sits just east of the Van Duzer corridor. 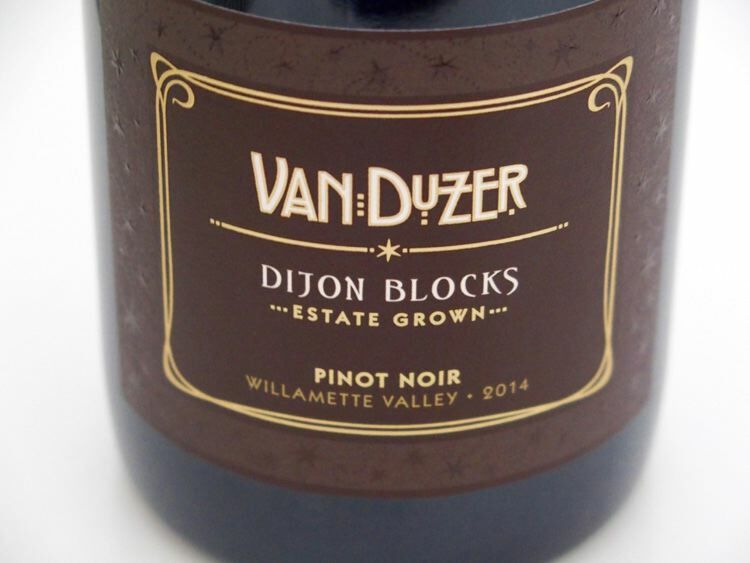 As of 2014, there were 14.5 acres planted to Pinot Noir, with a small amount of Chardonnay. Some grapes are sold to Big Table Farm. 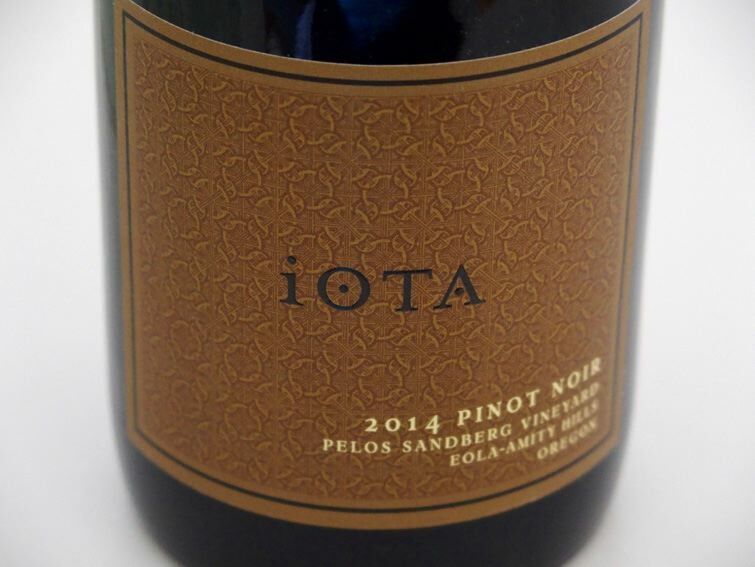 Visit www.iotacellars.com. The leader of this new and exciting project is noted Master Sommelier and former general manager of Evening Land, Larry Stone. The executive winemaker is Burgundian vigneron Dominique Lafon, and Thomas Savry, a former assistant winemaker at Evening Land who previously worked in the cellar and vineyard at Domaine de la Romanée-Conti, is the full-time winemaker. The winery and newly planted estate vineyard are located next door to Evening Land’s Seven Springs Vineyard (from which Lingua Franca buys fruit). The grapes are picked earlier than most, cold soak (a technique to gain extraction of color and aroma from the skins) is avoided. The wines are aged in French oak, but never more than medium-plus toast. The resultant wines are quite distinct as evidenced by their tension, elegance and sense of purity. The wines need time in the cellar and only offer their charms with decanting or left untouched in the bottle a few days after sampling. 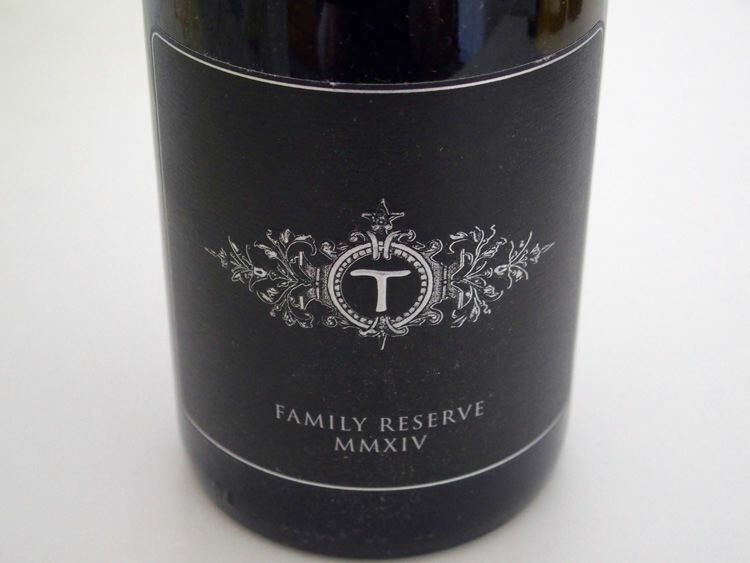 The Avni label is the more affordable and approachable offering of Pinot Noir and Chardonnay. 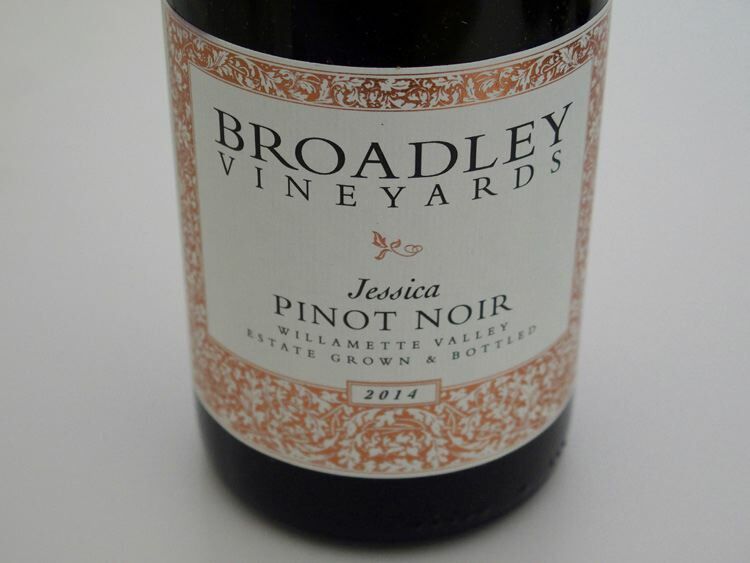 The upper tier Pinot Noirs feature names connected to people at the winery, and are made in very small quantities. Total production in 2015 was 4,000 cases. The 2015 Lingua Franca Avni Chardonnay is reviewed below. 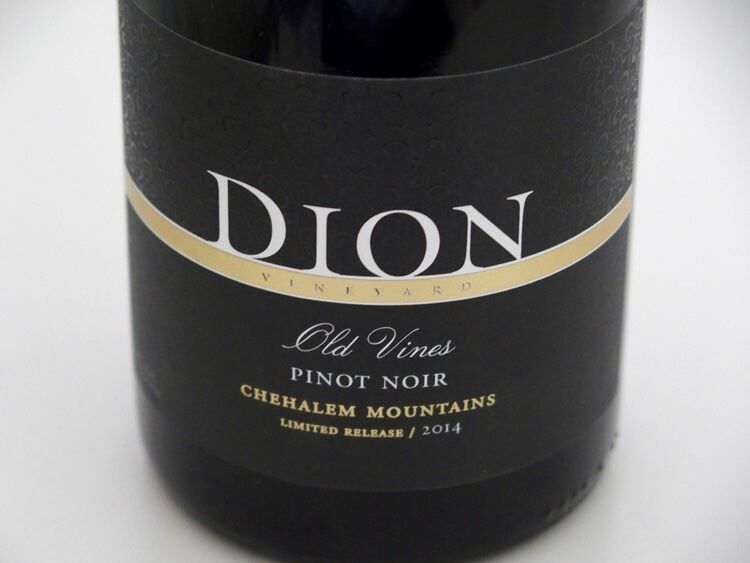 The 2015 Willamette Valley Pinot Noir is the second vintage from this winery. The winery is a culmination of a thirty-year friendship between American Jay Boberg and French vintner Jean-Nicolas Méo, who first met in Philadelphia when Jean-Nicolas was studying economics and was on an exchange program in the United States. They connected immediately over their shared interests in wine and music. They built their friendship while Jean-Nicolas took over as winemaker at his family’s domaine in Burgundy, Domaine Méo Camuzet, and Jay co-founded the indie record label I.R.S. Records, later becoming President of MCA/Universal Records. 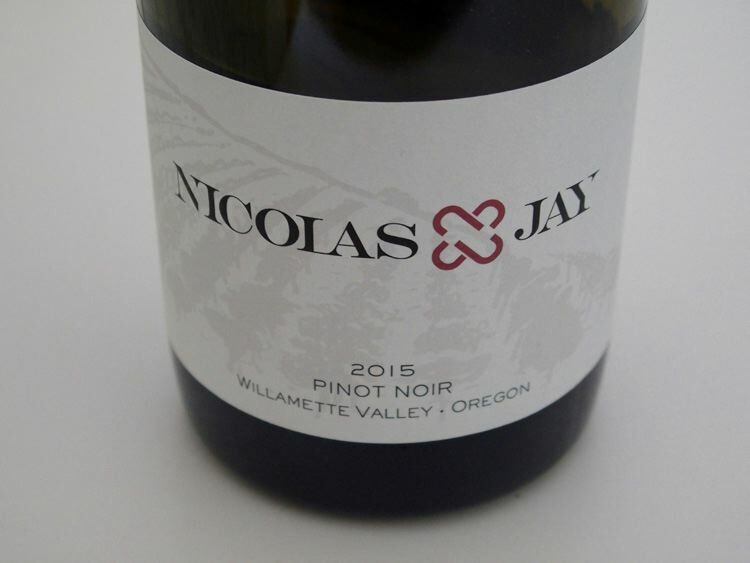 Both Jay and Jean-Nicolas have had a longtime interest in the Willamette Valley. In 2012, they set out to start a project in Oregon, conducting intensive tastings and immersing themselves in the Willamette Valley wine world. The vineyard that stood out for both of them in blind tastings was for sale and they were able to purchase the 33-acre Bishop Creek Vineyard in the Yamhill-Carlton AVA. Fruit is also sourced from almost every AVA in the Willamette Valley. Jay and Jean-Nicolas both call the Willamette Valley their second home, traveling to Oregon regularly and bringing their families and recruiting friends to help during harvest. Associate Winemaker Tracy Kendall provides the consistent day-to-day guidance. Nicolas-Jay wines are now distributed nationally and internationally. “French winemaking with Oregon terroir.” The website is www.nicolas-jay.com. 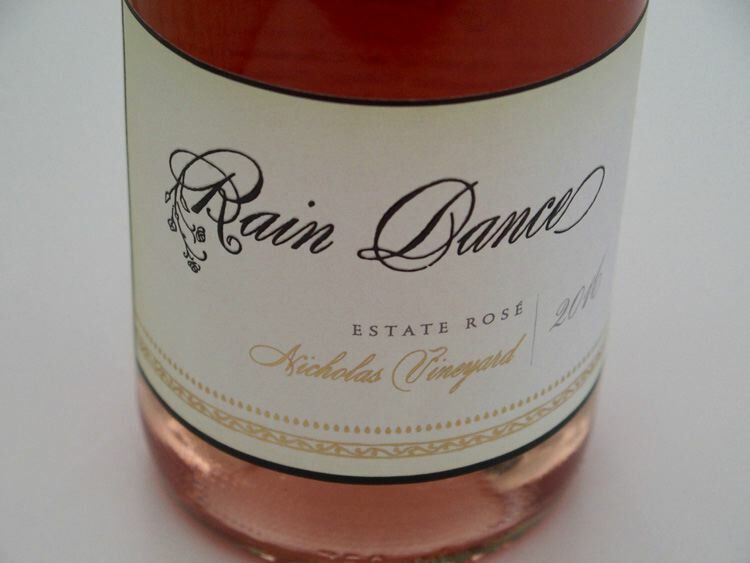 Rain Dance Vineyards is a newer producer with an Oregon agricultural and hospitality legacy dating to 1859. Ken and Celia Austin of Newberg, Oregon, founded the winery in 2009 and debuted their first vintage in 2013. Rain Dance is home to 120 acres of farmland including 73 acres of LIVE and Salmon Safe vineyards. A collection of four estate vineyards includes 53 acres of Pinot Noir, 17 acres of Chardonnay, 2 acres of Riesling and 1 acre of Gewürztraminer. The vines are dry farmed sustainably using balanced pruning, careful attention to cover cropping and multiple thinning passes to insure low yields. Vine by vine composting is one particularly unique approach. Vineyard clients include Adelsheim, Alexana and King Estate. The wines are produced and bottled under the direction of winemaker Bryan Weil of Alexana Winery in a custom crush agreement working closely with Ken and Celia Austin. The winery’s country tasting room is located at 26335 NE Bell Road just minutes from the center of Newberg. Tasting is offered at the tasting bar, or covered porch or outdoor patio. Open daily. Visit www.raindancevineyards.com. 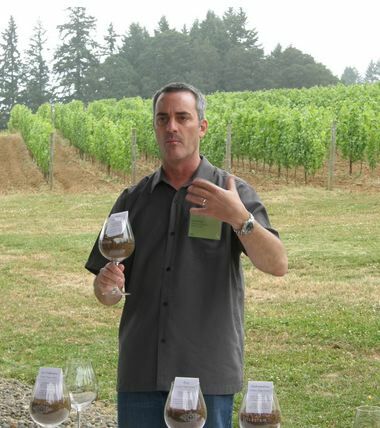 Proprietor and winemaker James Frey (photo below) and proprietor Andrea Frey acquired a cattle ranch in the foothills of the Coast Range outside McMinnville in 2003. Two years later they planted 22 acres of Pinot Noir and Riesling, the two varietals the couple liked to drink. They later added 17 acres near Newberg on Ribbon Ridge and again planted Pinot Noir and Riesling. Finally, an 8-acre vineyard in the Dundee Hills was acquired in 2011. The Freys built a modern winery, dramatically lit underground wine caves and a 1,500-square-foot art gallery to display James’ and others artwork at Ribbon Ridge adjacent neighbors Beaux Freres and Brick House. The name Trisaetum (“Tris-say-tum”) is a Latinized version of the names of their son Tristan and daughter Tatum. All Pinot Noirs are vinified with fruit from estate vineyards. 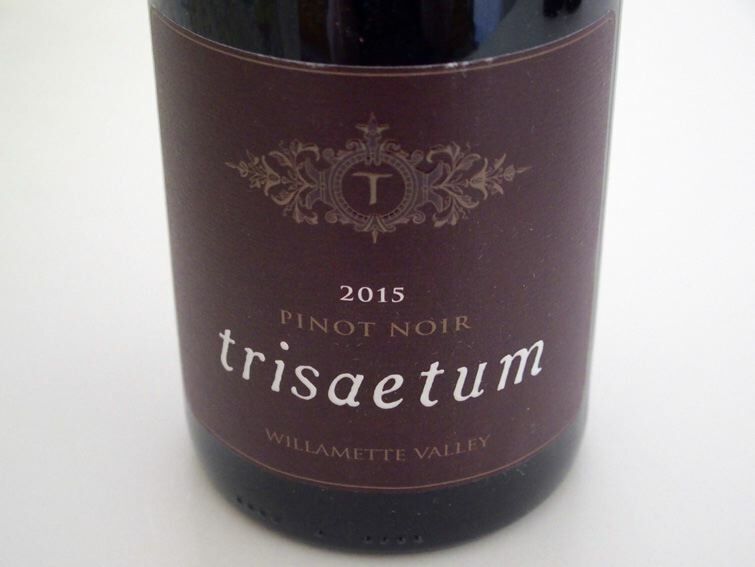 This was my first encounter with the lineup of Trisaetum Pinot Noirs and I was quite impressed. Beginning in 2013, Jacques Lardiere of Louis Jadot began vinifying Louis Jadot’s Resonance wines at Trisaetum. The winery’s tasting room and art gallery are open Thursday through Sunday. Visit www.trisaetum.com. Walnut City has crafted wines in a historic McMinnville winery since 1999. The facility was formerly a walnut processing plant that inspired the winery’s name. Walnut City is rooted in farming and manages over 200 acres of vineyards in the Willamette Valley, having planted, grafted and grown more than a million vines. The reviewed wines are made from LIVE Certified Sustainable vineyards. Visit www.walnutcitywineworks.com. The 2014 Walnut City Wineworks Reserve Chardonnay is reviewed below.